Hi all you riders out there! 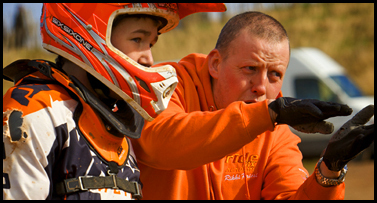 Thanks for visiting MXCOACH.CO.UK I'm Rikki and I'm here to share some of my history and experience with you. I've been racing since 6 years of age. Having won various youth club and national championships I soon turned professional at 16. For 8 out of 10 years of my professional career I have riden for Kawasaki Team UK and am proud to have achieved 2nd place once and 4th place twice at the 'British 125cc (MX2) Championships'. In addition to this I have also gained 2nd place twice at the 'British Four Stroke Championships'. 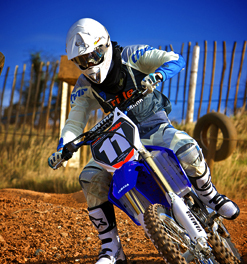 I have twice competed in the 'Under 21's Motocross Des Nations' winning the 125cc (MX2) class, helping Britain win a trophy! Finally, I have competed in the '125cc (MX2) Motocross World Motocross Championships' from the age of 16 for 5 years gaining various top ten world finishes. As you can see there's a lot that can be achieved in 15 years as long as you have the drive and ambition to acknowledge your potential.